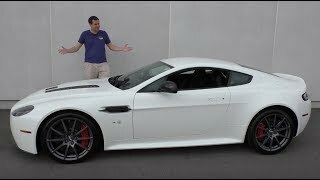 Taking a look at the entire Aston Martin range, Aston Martin Vantage is indeed the smallest car being precise a sports car and is available at your door steps at a lesser price compared to DB9 like GT Cars. 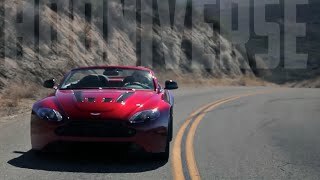 Coming for the year 2015 company has unveiled its revised Aston Martin V12 Vantage S Roadster 2015 with little more power beneath its hood to take you over a joyous long ride while you inhale the fresh sprinting air outside. Interior of Aston Martin V12 Vantage S Roadster 2015 is a luxury packed comfort providing tech oriented work. With very entrance you’ll notice a full-grain leather interior featuring center stack and door grabs in Piano Black trim while the leather-trimmed sports steering wheel joins them in spreading the attraction. For your comfort are amalgamated electronically adjustable seats. Keeping in mind the safety feature center of steering wheel and side of seats are fitted with air bags. Talking about the technological features Aston Martin V12 Vantage S Roadster 2015 comes with Organic Electroluminescent displays with satellite navigation, tire pressure monitor, Bluetooth telephone preparation with audio streaming capability etc. Exterior of Aston Martin V12 Vantage S Roadster 2015 brings in some new designs; precisely a mile away from its traditional looks (in appositive way I believe). This change primarily gets displayed with the introduction of all new carbon-fiber and mesh grille resembling to the Aston Martin Vantage race car. This new grille not just provides distinct looks but also sends more fresh air to its rising engine. For the same purpose company has also mounted some vents and slats over its hood while the flared wheel arches on other side aggressively fits over the alloy wheels. 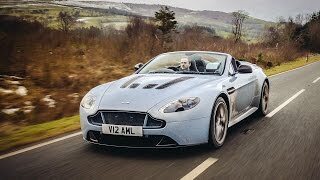 In all we found the exterior of Aston Martin V12 Vantage S Roadster 2015 crazy as expected from Aston Martin Vantage, to an extent that depicts its power as well as the comfort and luxury while sitting over sports bucket seats fitted inside. 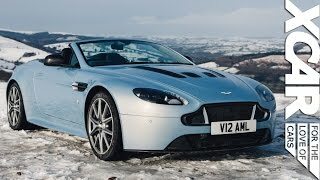 Aston Martin V12 Vantage S Roadster 2015 brings beneath its hood a 6.0 Liter V12 engine delivering 565 hp and peak torque of 620 nm paired to all new Sportshift III ASM transmission. With its lighter transmission and these power specs Aston Martin V12 Vantage S Roadster 2015 can reach a top speed of 201 mph while 0-60 mph sprint gets touched in 3.9 seconds only.